No one could stop Mick Grady from taking the spoils in the North Belfast Open last Saturday. Mark Di Lucia hit a couple of 21-darters in a 4-0 win over Oliver McMahon Snr while Soupy Campbell lost 4-0 to Ciaran Johnston, including legs of 18 and 20 darts. Jim Flanaghan beat Brian George 4-1 with 21 and 18-darters to George’s 20-darter. Gerry McCormack hit an 18-darter in a 4-0 pasting of Catriona Liggett while Caoimhin Burns held off Gary Di Lucia 4-3. Martin Corbett got the better of Darryl Corbett 4-0, Keith Beale whitewashed Davy Duffy 4-0 and youth player Colm McGuinness stunned Tony Kelly with a bull finish in a 4-2 win. Closing out the round was Mick Grady beating Ray Grant 4-1. Brian McKinney turned over Henry Carson 4-0 while Billy Brooks blanked Tony Burns 4-0 and Belfast Dart Academy thrower David Beale beat Sean Paul Saunders 4-1. Martin Corbett held off Keith Beale 4-3, Jim Flanaghan lost 4-0 to Mark Di Lucia and Caoimhin Burns enjoyed a 4-3 success over Gerry McCormick. Ciaran Johnston hit a 78 outshot on the bull and a maximum 180 in his 4-1 win over Oliver McMahon Jnr. Mick Grady took the first semi-final slot with ease, beating Brian McKinney 4-0. Billy Brooks produced a 4-1 rout of Caoimhin Burns while Martin Corbett ended young David Beale’s hopes 4-0 with a 107 checkout. 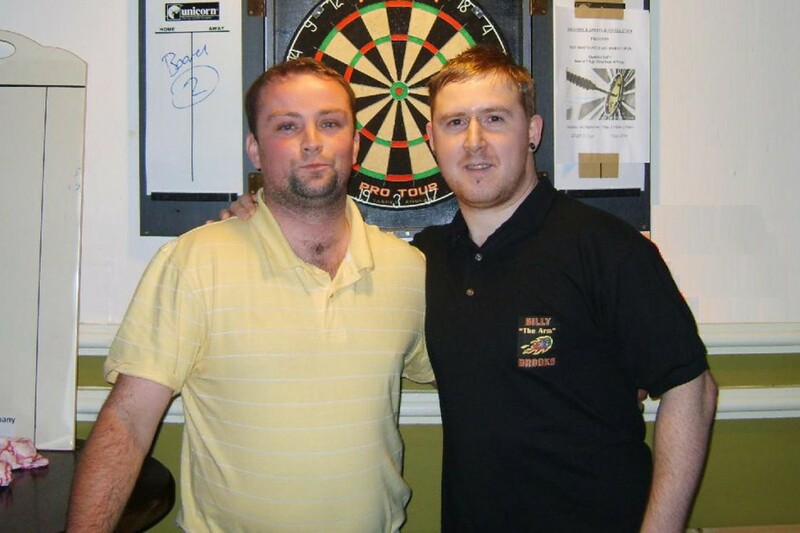 The last semi-final spot went to Ciaran Johnston after he beat Mark Di Lucia 4-0. In his semi-final Brooks rattled off three legs in a row to win 4-2. In the second semi-final Mick Grady held off Ciaran Johnston 4-2. In the final, Grady took a tight opening leg but Brooks equalised with a stunning 17-darter. But it was Grady who showed the most consistency to win 5-1. There are still seven qualifying rounds left and, more importantly for some, eight more rounds of the free £2 bet from sponsors Sean Grahams. Additional thanks go to our other sponsors Flax Cabs and the Shamrock Social club.